Jared Kushner and Ivanka Trump arrive at the White House for a state dinner April 24, 2018 in Washington, DC . President Donald Trump is hosting French President Emmanuel Macron for the first state visit of his presidency. 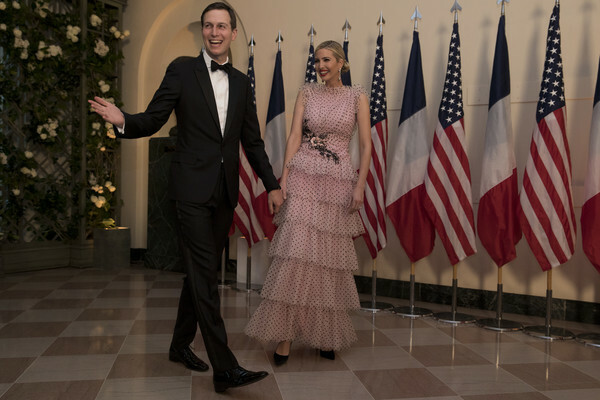 Ivanka Trump went for a sweet and frilly polka-dot gown by Rodarte when she attended a State Dinner for the French President.